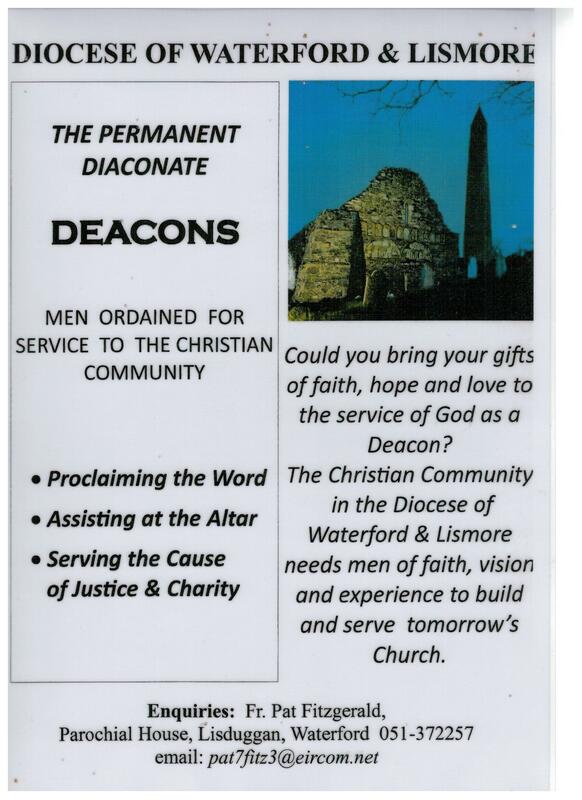 The service of deacons in the Church is documented from apostolic times, and has always been held in high esteem. The diaconate, like the sacred orders of the episcopate and the presbyterate, has very clear theological roots in the person and the ministry of Jesus, who reminds the disciples that, although he is Lord and Master (Jn 13:13), he is among them ‘as one who serves’ (Lk 22:27). The role of the deacon in the early centuries of the Church was directly associated with that of the bishop. Deacons preached the gospel, prepared the gifts to be offered at the altar and brought the Eucharist to the people. Up to the fifth century the diaconate flourished in the western Church, but after this period, it experienced, for various reasons, a slow decline which ended in its surviving only as an intermediate stage for candidates preparing for priestly ordination. The restoration of the permanent diaconate was decided upon by the Second Vatican Council with the resolution that ‘it will be possible for the future to restore the diaconate as a proper and permanent rank of the hierarchy’. The diaconate, in so far as it is a grade of sacred orders, confers a character and communicates specific sacramental grace. The deacon, because of the outpouring of the Holy Spirit, signified by the imposition of hands by the bishop and the prayer of consecration, exercises a service of the people of God. It falls to the bishop as pastor of the diocesan Church to determine the pastoral tasks of the deacons, and to supervise in a special way the pastoral cooperation between deacons and priests, who together must collaborate with the bishop. a proven readiness to serve others, even at some personal cost. The discernment of the authenticity of a person’s vocation to the permanent diaconate is the responsibility of the diocesan bishop. The fact that somebody aspires to the permanent diaconate does not in itself guarantee that he will be selected. Ordination to the permanent diaconate may be conferred on celibate men or on married men. The minimum age for admission to the permanent diaconate is twenty-five years for a celibate candidate, and thirty-five years for a married candidate. The maximum age is sixty years. When an applicant for the diaconate is a married man, he must have the consent of his wife, and have been already married for at least five years. The Basic Norms for the Formation of Permanent Deacons envisages a formation programme of at least three years duration, prior to which the candidate will have completed a propaedeutic period under the guidance of a director of formation who will make a recommendation to the bishop regarding the suitability of the candidate.